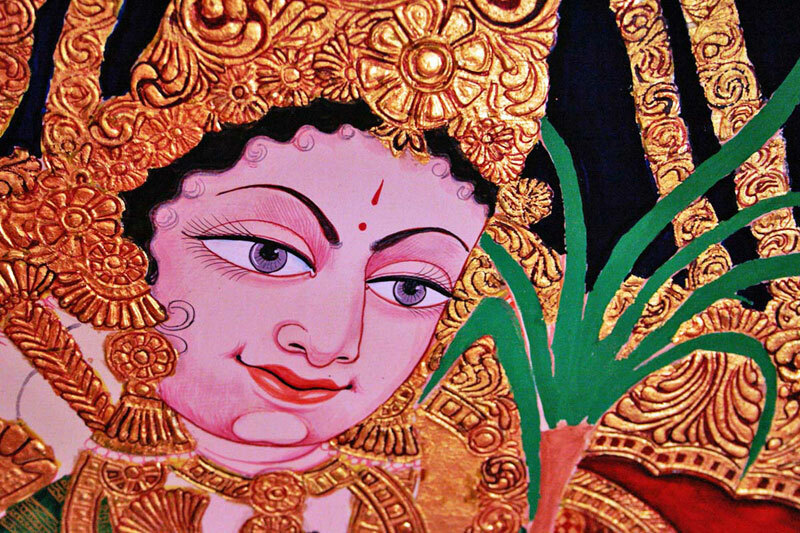 Mysore paintings form a significant tradition of the classical south Indian paintings. 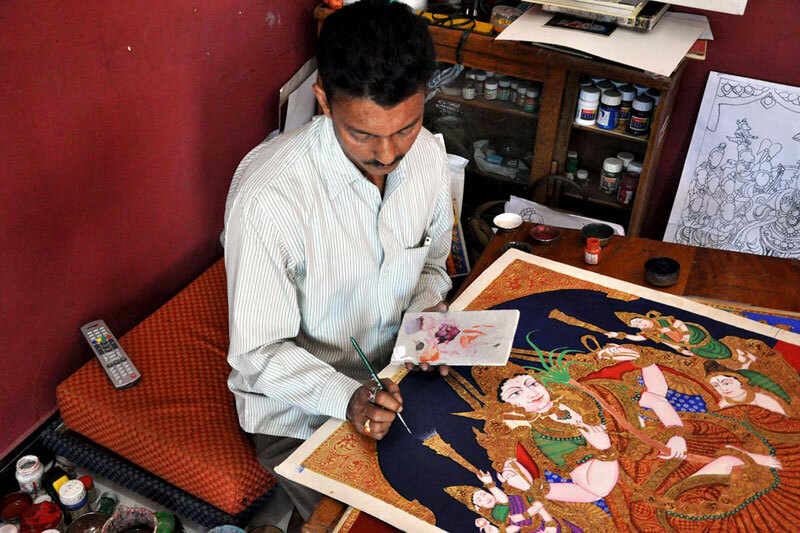 Artists use mount board, over which they paste ivory sheet or cartridge sheet and start the painting. 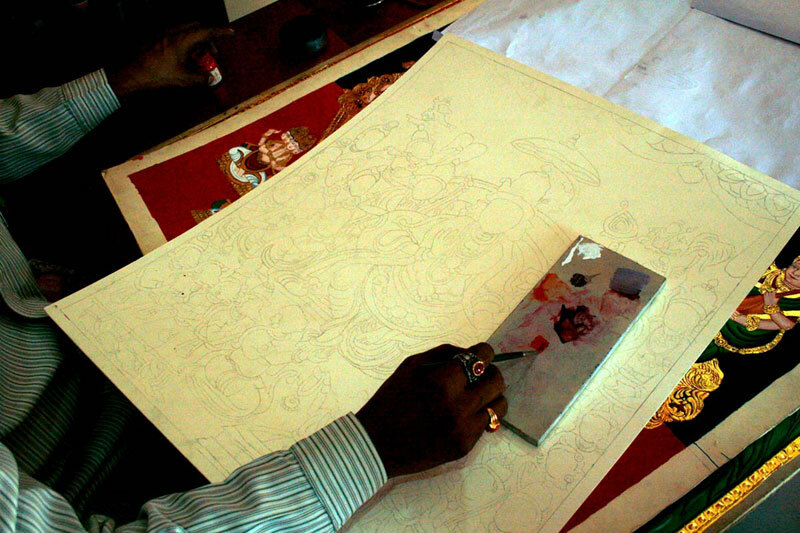 He makes a preliminary sketch of the image on the base. Thereafter, he makes a paste of zinc oxide and Arabic gum, known as 'gesso paste'. 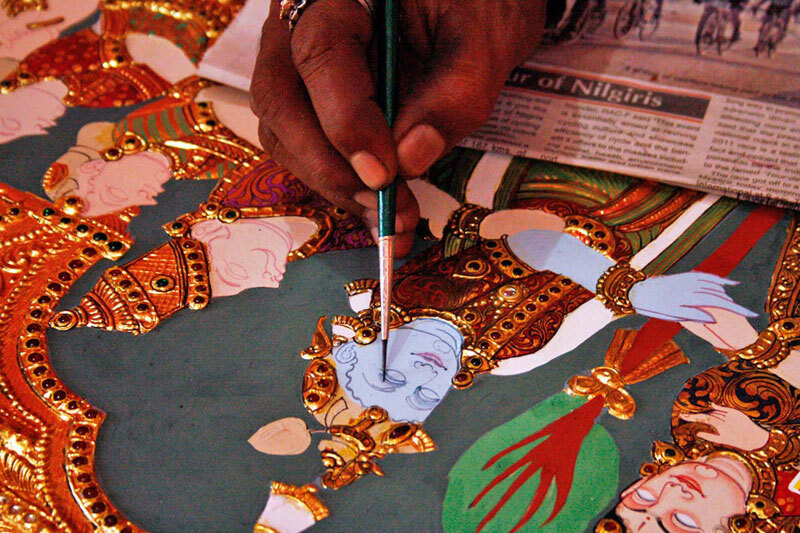 This paste is used to give a slightly raised effect of carving to those parts of the painting that require embellishments and is allowed to dry. 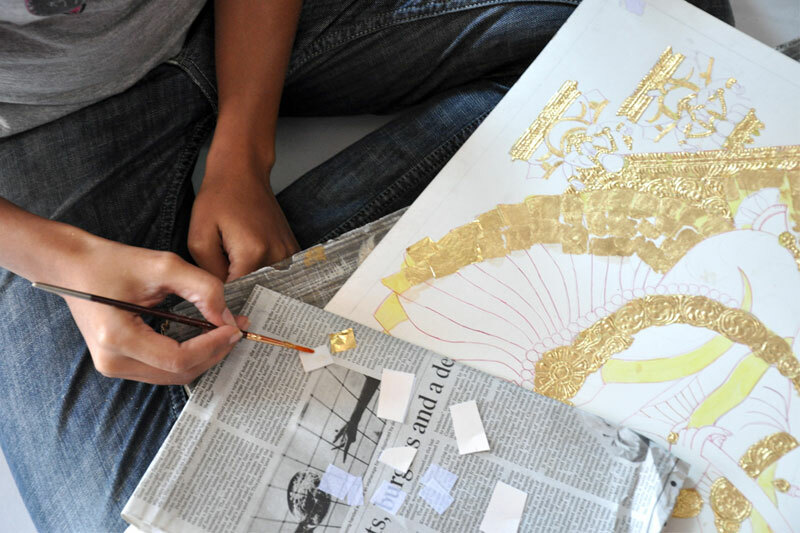 Then, gold foil is pasted onto the surface, using Arabic gum. They left the gold foil dried for another 6-8 hours. 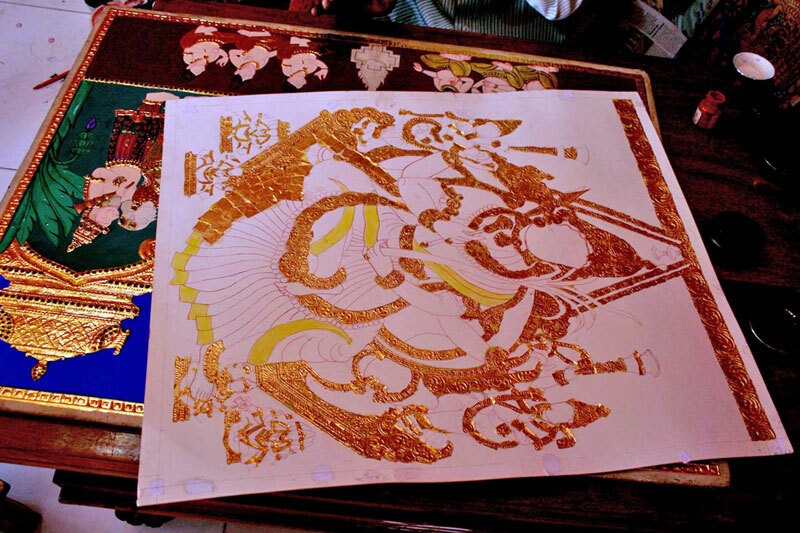 After which they use brush to remove the excess gold. 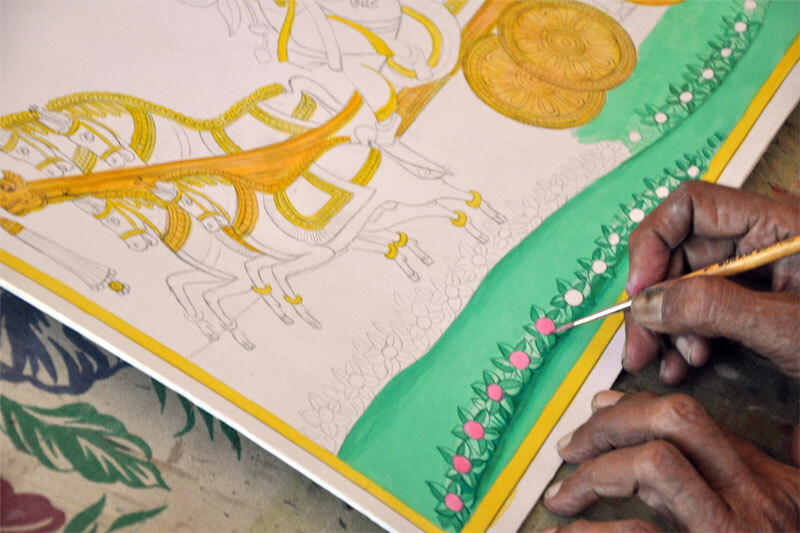 The rest of the painting is prepared with the help of water colors. 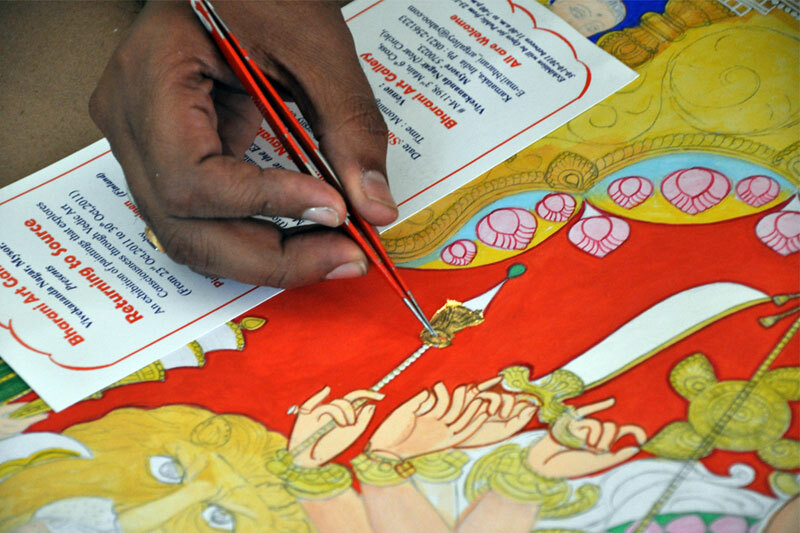 They complete the painting in two coats. 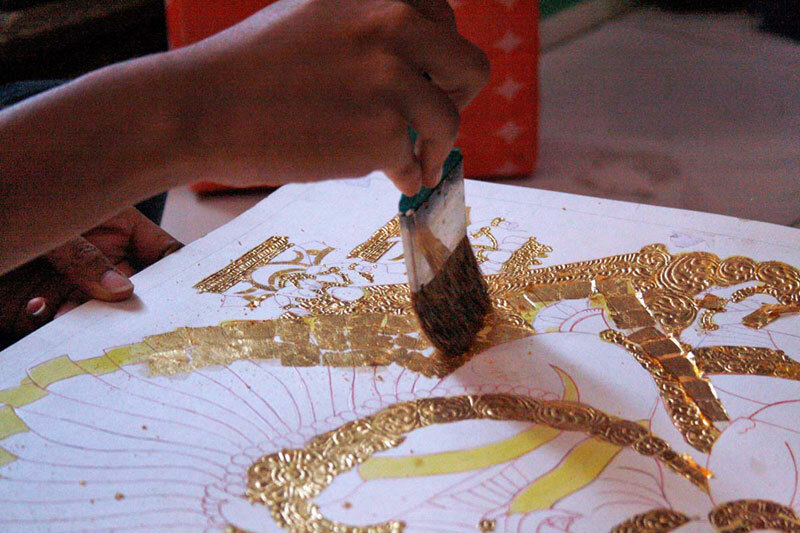 In the place of gold, they apply yellow color; later on cover it with slightly thick layer of Gesso paste. 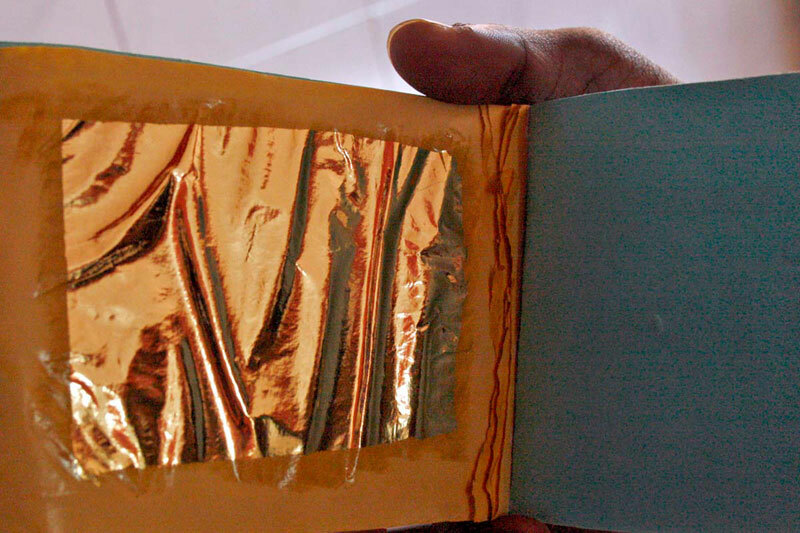 Over which they paste gold foil. 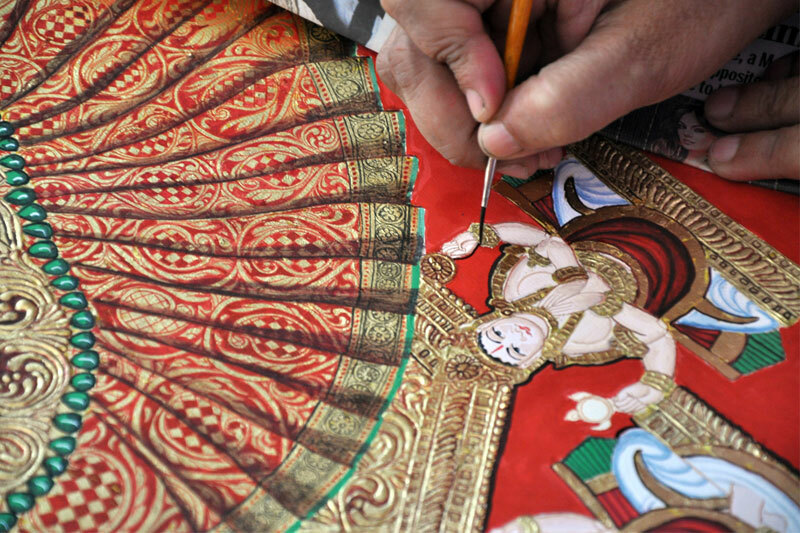 Using a mixture of black Indian ink and poster color to reduce the glossy effect does intricate design on gold foil. 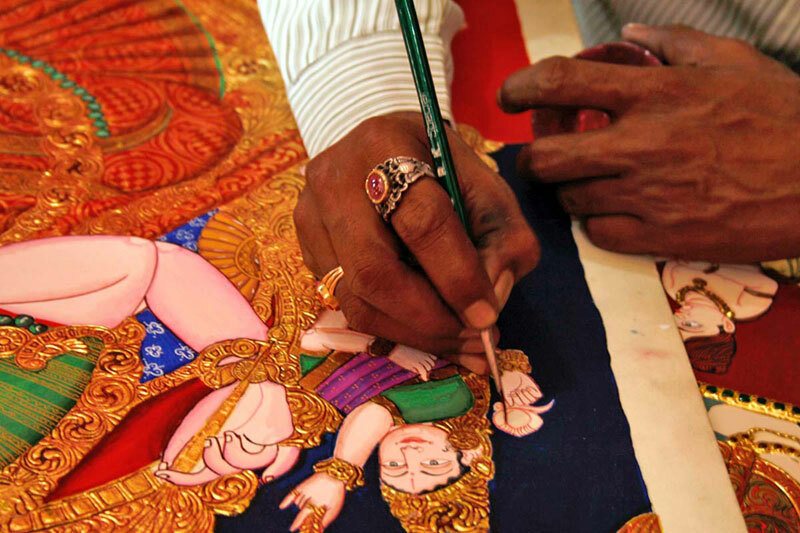 After the painting is fully dried, it is covered with a thin paper and rubbed lightly with a smooth soft stone.